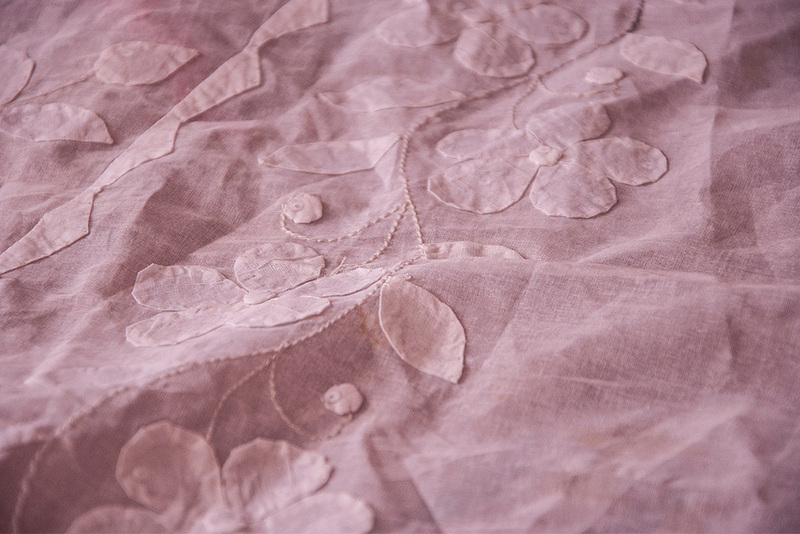 Floral motif applique embellished with sparkles. 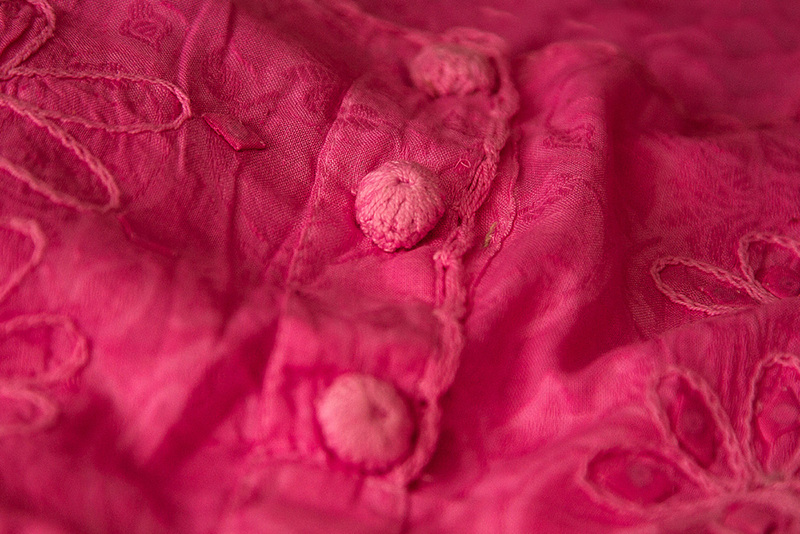 Handmade buttons made of embroider thread gives a special look to applique wears. 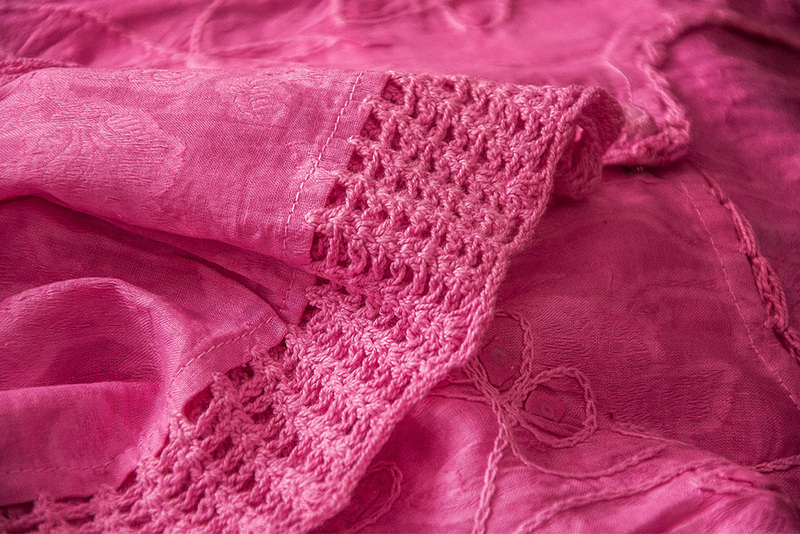 Knitted lace is added in the borders gives a lacy appeal. 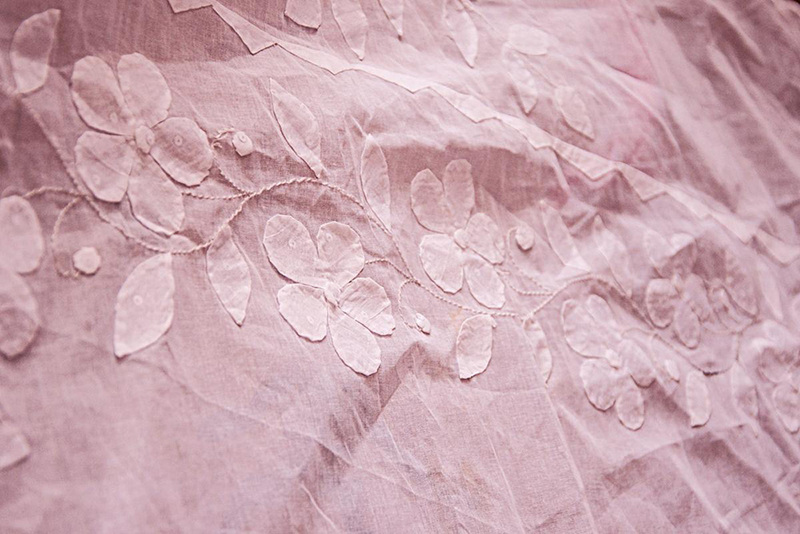 Pieces of fabric is cut and shaped into flowers and stitched on the base fabric. 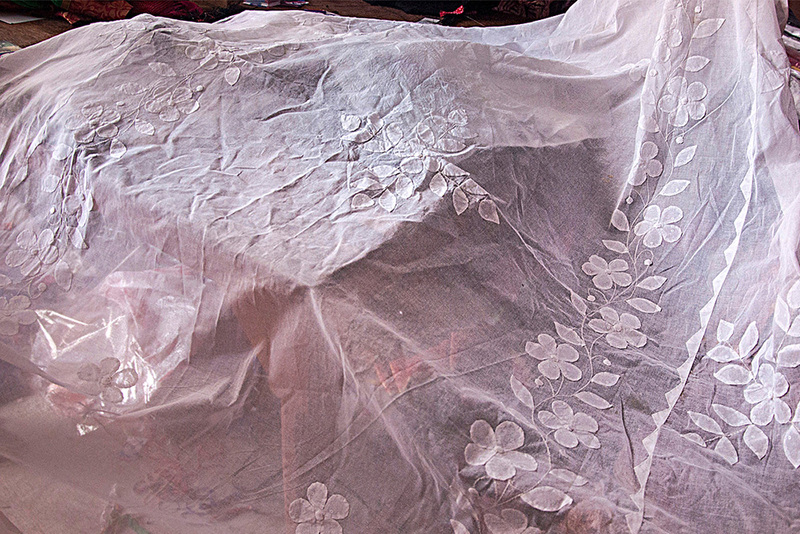 Different color fabrics are used to make the final product look colorful. 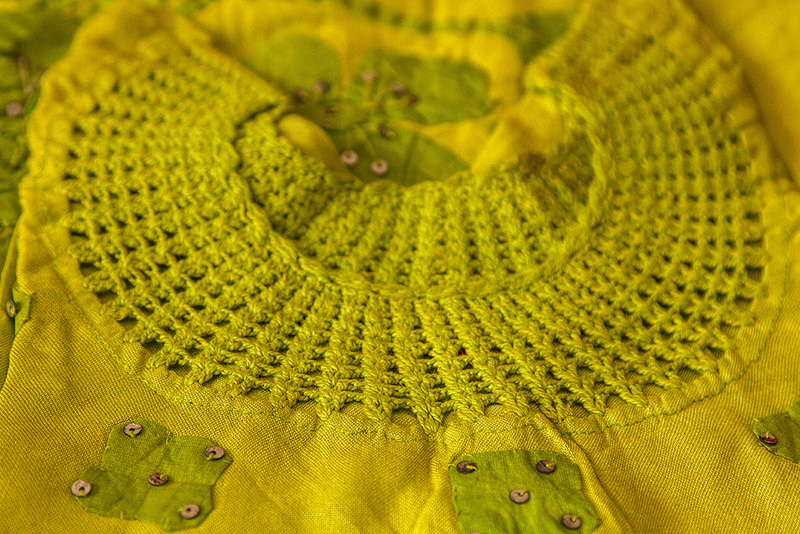 A kurthi stitched with floral motifs and knitted lace. 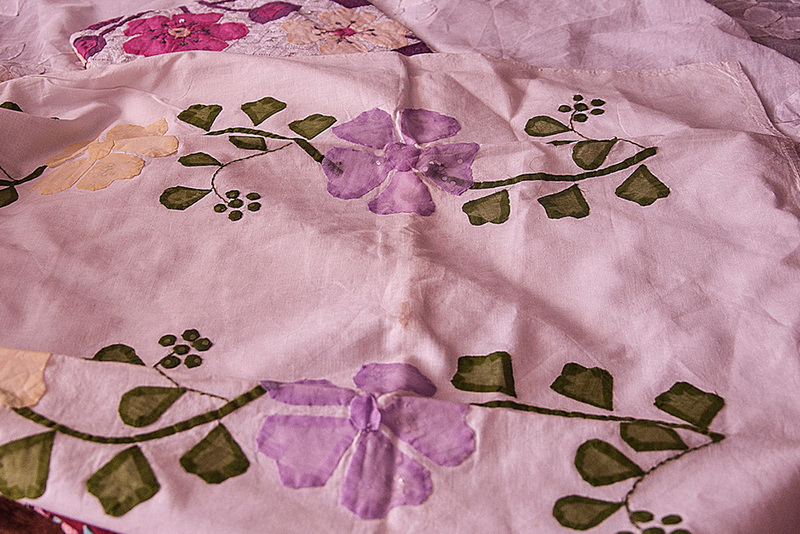 Handkerchief embellished with floral motif. 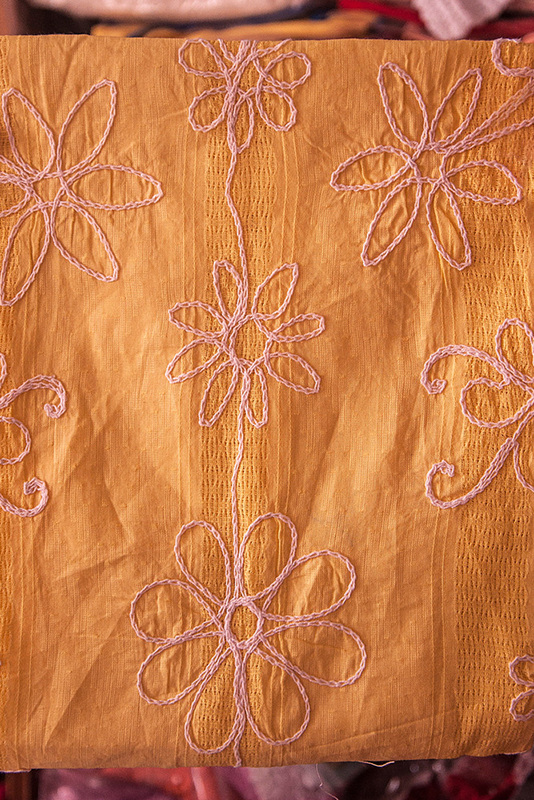 An orange fabric embroidered with flower pattern with chain stitch. 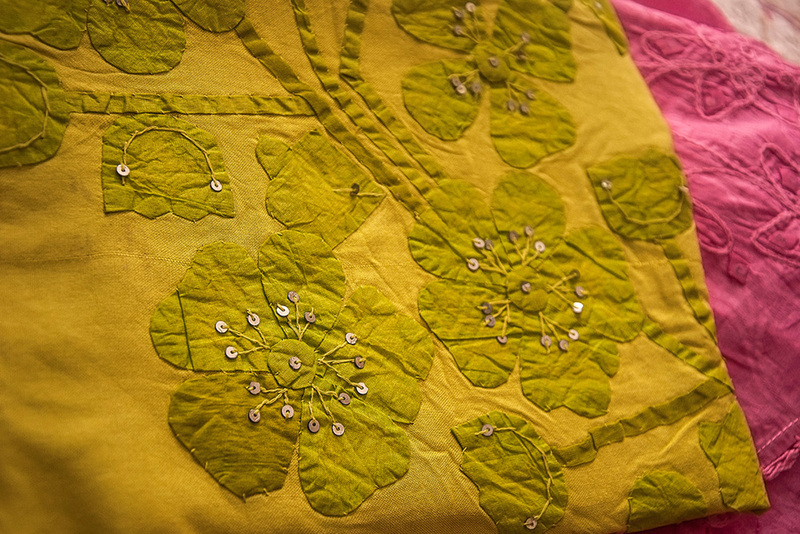 Colorful fabric designed with floral applique work. 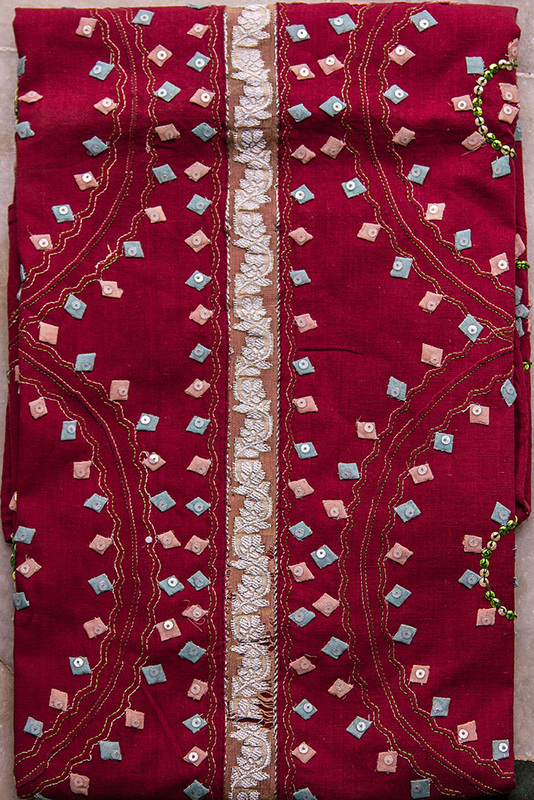 A costume designed with diamond shape applique pieces made from different color fabric. A cotton whale designed with floral applique work. Applique work employees the women folk in the villages of Aligarh of Uttar Pradesh to make the work easier and helps in stabilizing some of the urgent requirements of their family. It is generally known as smaller ornament or method applied on another surface with one piece. The word is said to be borrowed from the French which means applied or thing that has been applied. 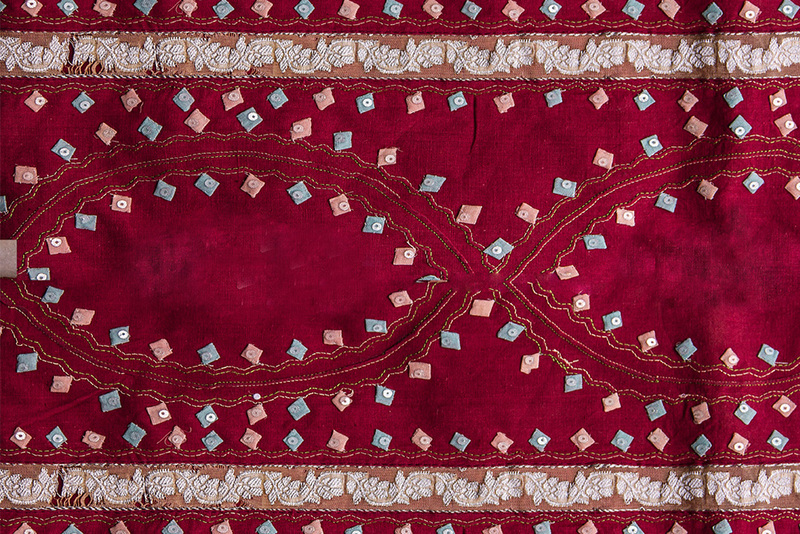 It is referred to as the surface pattern, which is used to decorate a garment or product. Applique with the needlework method in which patterns with figurative scenes are made by the attachment of smaller pieces of fabric to the backing cloth with distinct color and texture. 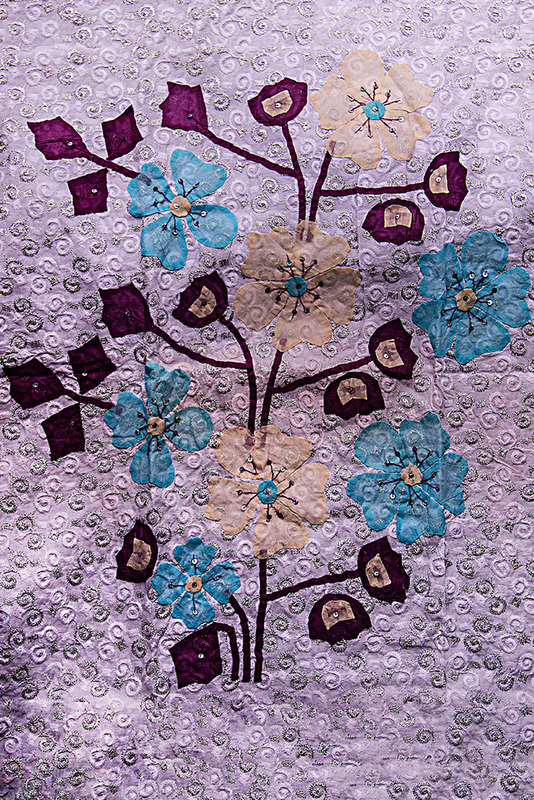 These works are widely used for quilting that is made with both applique and patchworks. Applique generally refers to fabric used with different designs of shapes on the trim of a garment that can be either sewn or glued.